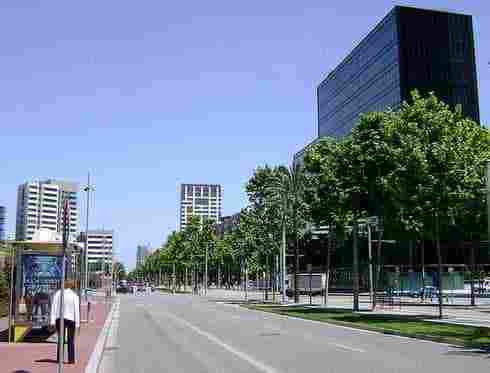 Avenida Diagonal is one of the widest avenues in the city, along with the Gran Vía de las Corts Catalanes thoroughfare. Designed in the mid 19th century by Cerdà, it crosses the entire city diagonally until it reaches the sea. The original project by the creator of the “Ensanche” proposed that the avenue wouldreach the sea, and this was finally carried out in 2004. The celebration of theUniversal Fòrum of Cultures was the main motive for its completion. The most famous international brands have their boutiques on this part of the Diagonal, which is part of the city’s shopping line.